The indoor season has started, and Kathi spend the last two weekends competing at the CSI2* shows at Sentower Park in Belgium to get both the older and younger horses transferring from outdoors. During the first weekend, the 6-year-old Hearst was clear in all his three classes – placing 7th, 8th and 16th. With Louis Wood in the saddle, the 6-year-old Condor du Tyl also impressed to jump double clear in Saturday’s final. Casper was also clear in two out of three classes, finishing 3rd as his best result. It was the 7-year-old Cornet's Lady that was the star of the second weekend, jumping clear in all her three classes. 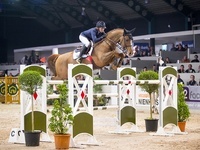 Etna was also clear in both his classes, while Amarit had an unlucky rail down in Sunday’s Grand Prix. 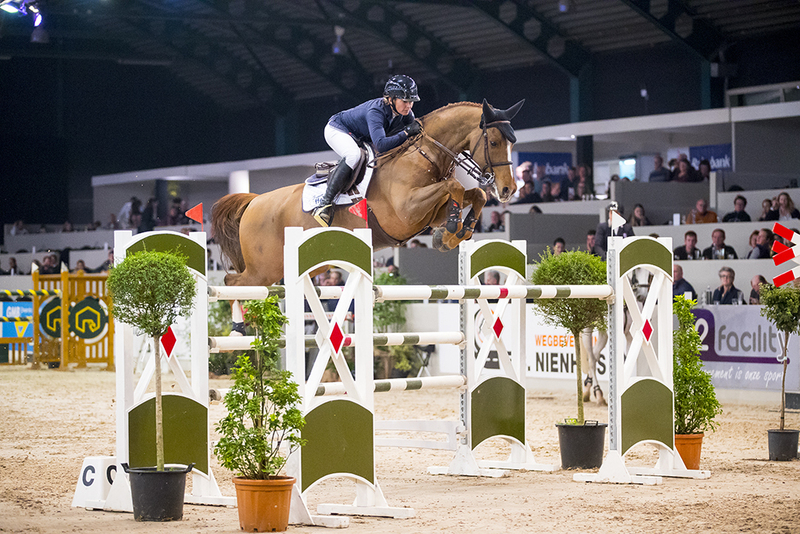 The next stop for Kathi and her horses will be the CSI3* show in Zwolle, Netherlands.